Scaling the rocks at Cove Road. UPDATE: As of 2 pm on Sunday, April 7th, the City Of Jasper has opened Cove Road for traffic. Cove Road is closed to through traffic from Burnt Mountain Road to Grandview Road until further notice due to a rockslide on Tuesday, March 26th around 6 pm. Only residents that reside in this area will be permitted through. Work started on April 2, 2019 and is expected to take six days. 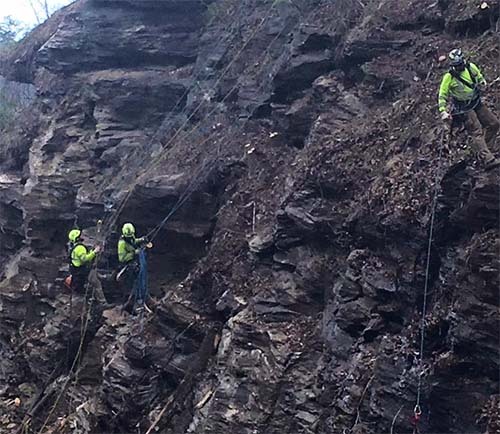 City of Jasper Facebook video of scaling the rocks. Geo Stabilization International and they have arrived. We are very glad to have these dedicated and knowledgeable men here to work very hard and make Cove Road Safe. We cannot give a definite date to reopen the road but a statement has been made "Days not Weeks". This is unless while removing loose rocks something unexpected is located, then we will make that public as we are notified. Cove Road discussion during the Jasper City Council Work Session on Thursday. 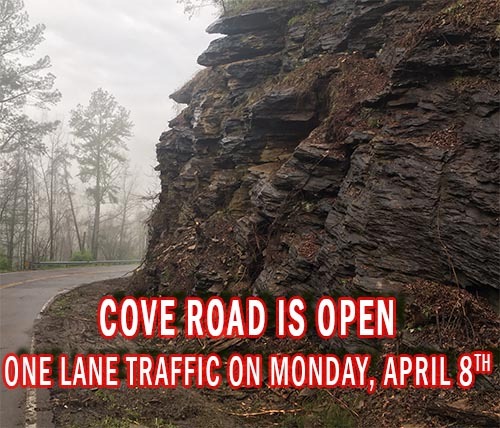 Cove Road at the S curve has been CLOSED due to a rockslide since the evening of Tuesday, March 26, 2019. GeoStabilization International provided a proposal for $95,000. Jasper City Council will vote on Monday night on how to proceed. Thankfully, there were no reported injuries during the incident. 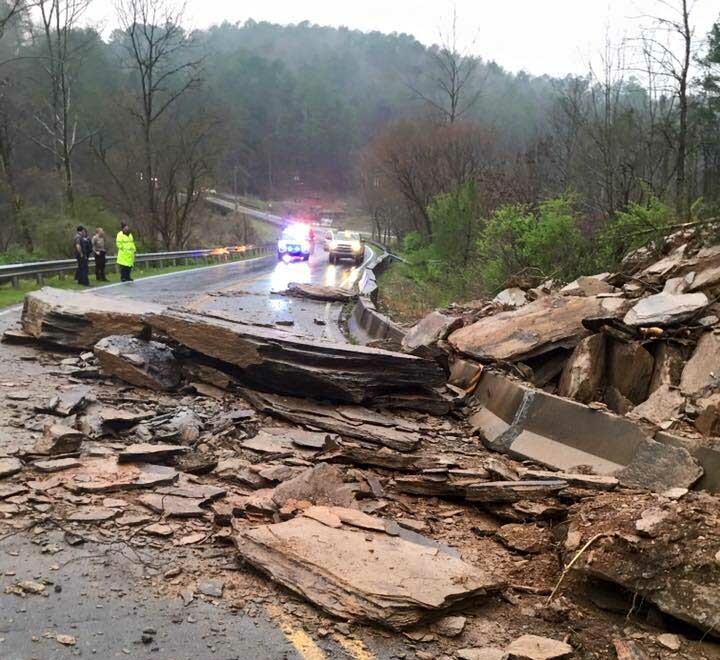 City of Jasper and Pickens County departments quickly responded to clean the road, but GEO Tech Engineers is conferring with their counterparts to provide an evaluation on what measures to take to mitigate further issues that could occur. Detour using Old Burnt Mountain Road - Old Grandview Road - Grandview Road to Cove Road or Cove Road to McClain Mountain Road to 53. Follow the City of Jasper Facebook for updates.